The Set that sets others apart. Avanti is a professional name brand of the highest quality. 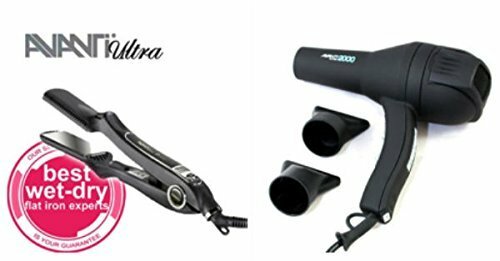 Included in this duo pack is a limited time offer on 1 Avanti WD-AVCROC and 1 Avanti GP-2000 Hair Dryer. Ideal for professionals or students. Additional Discounts applicable to professional stylists with a license or students. Send us a message and ask us how! If you have any questions about this product by AVANTI PROFESSIONAL, contact us by completing and submitting the form below. If you are looking for a specif part number, please include it with your message.